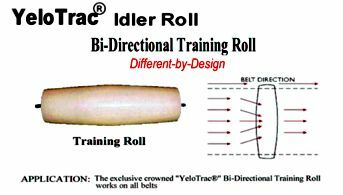 The conveyor belt is forced to track to the high point of the elliptical shaped YeloTrac® Bi-Directional Training Idler, making mistracking a thing of the past. The surface friction of the YeloRoll® Idler Rolls prevents belt slippage. 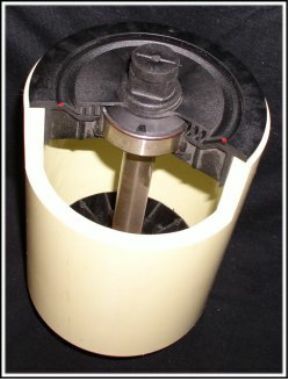 Concerns about premature wear due to rust and heat is a thing of the past with YeloRoll® Idler Rolls. Our product is rust proof and strong keeping you running longer and trouble free.